I was conceived by the Creator on both sides of an ancient ocean, then forged in the tropics within the middle of a supercontinent; all the while being weathered by the Elements of fire, wind, ice, and water over some 600 million years. The final form of my embryo was developed while entombed in ice some 22,000 years ago. I was birthed 11,000 years later as the glaciers receded and their melt waters poured life into my streams and underground waters. 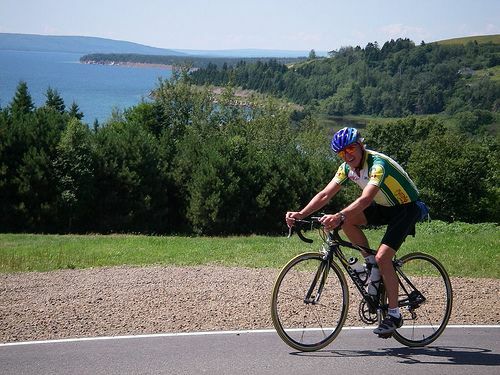 During the first 5,000 years of my childhood I was in the form of fresh water lakes, rushing headlong to the distant sea through a turbulent mountain stream confined by the narrow deep gorge of the Great Bras d’Or Channel. At first my skin was formed of rocks and soil chiseled by glaciers, bared to a silent and empty world. As I warmed arctic tundra developed; then the spruce and fir came. By 4,000 years ago the hardwoods and softwoods had covered my surface, providing shade and nourishment for all sorts of life. Some 6,000 years ago the sea rose to meet me, lapping higher and higher on my shores, allowing my evolution into the estuary that bathes and blankets the parts of me you see today. I am ever­changing, but the processes changing me now are different . . . 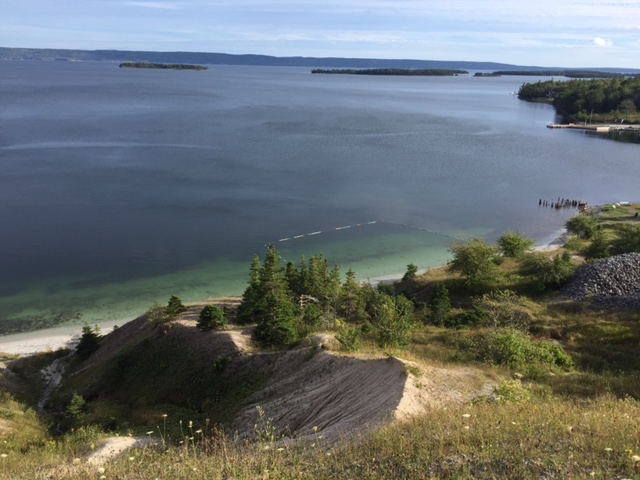 The Bras d’Or Lakes is a unique estuarine environment, a place that is home to animals that are normally resident much farther north, and host to occasional visitors (like the Sunfish) from farther places south. The Lakes’ 1,100 kilometres of shoreline boast many sheltered harbours and inlets, perfect for mooring a sailboat or gardening oysters. The tidal forces of the Great Bras d’Or Channel move water in and out at a daily speed of up to 11 knots, flushing about once every day and a half. 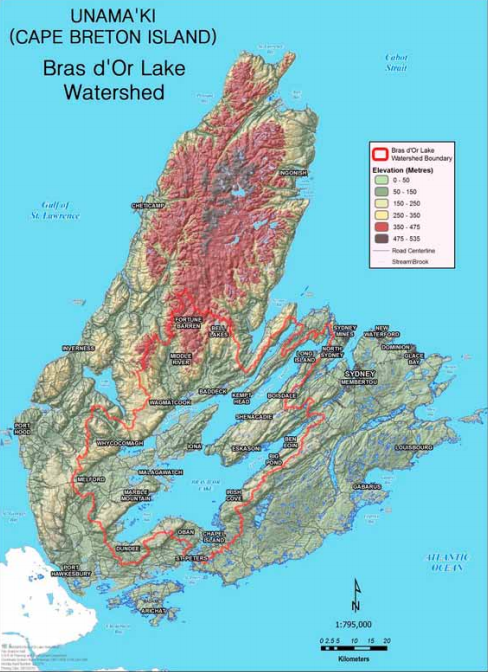 The 3,500 square-kilometre watershed includes parts of the Cape Breton Highlands, at hundreds of metres elevation, down to sea-level salt marshes and barrachois ponds. 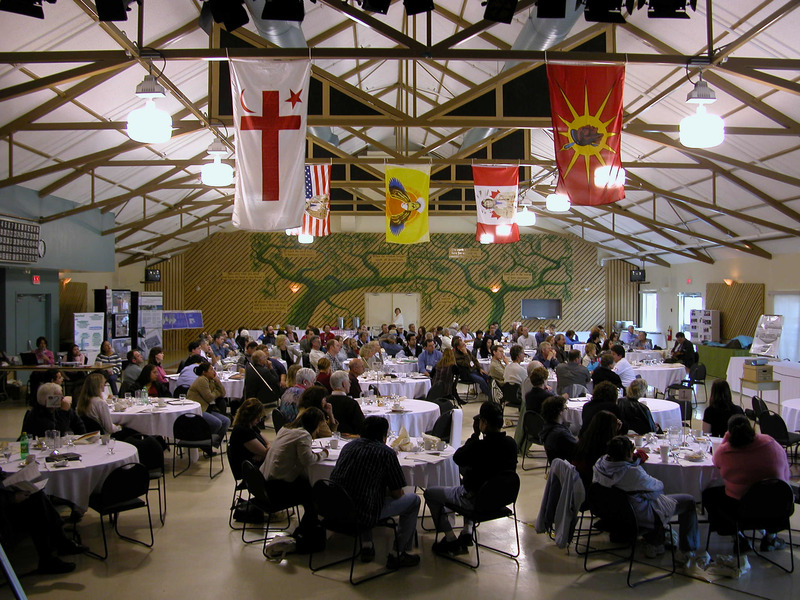 The people living in the watershed have their roots in at least four different languages and cultures: Mi’kmaq, Acadian, Gaelic, and English, with newer arrivals in the summer months from all corners of the world. 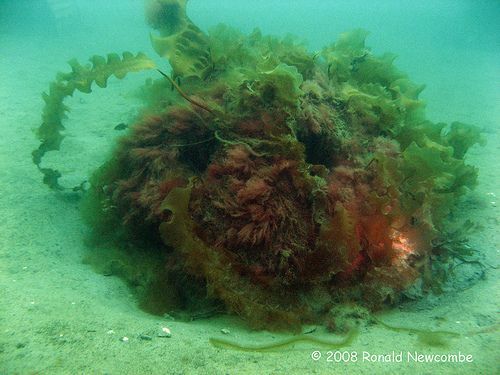 This is only a glimpse of what is known as the beautiful Bras d’Or Lakes ecosystem. There is no place like it anywhere in the world. As time has changed the Lakes over the centuries, there are milestones in the history of its relationship with humans. 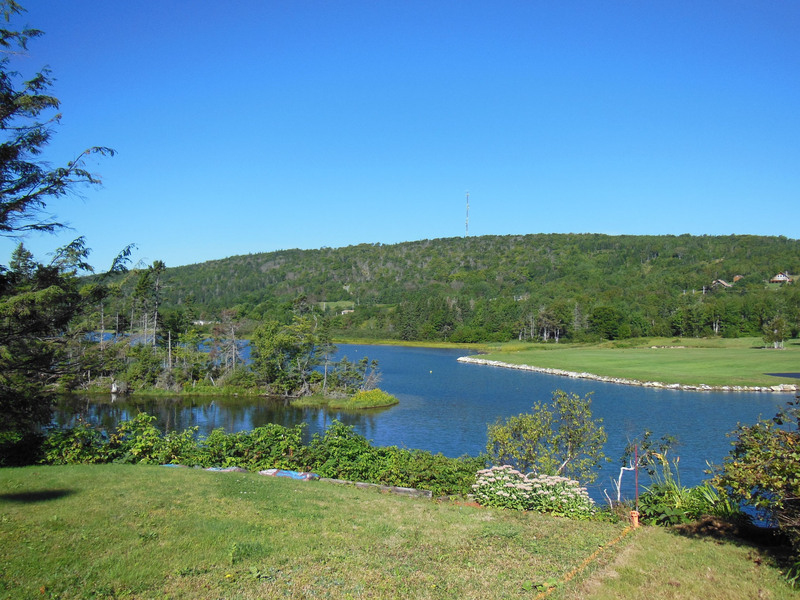 One of these milestones for the Bras d’Or Lakes watershed, was the creation and signing of the “Bras d’Or Charter”. 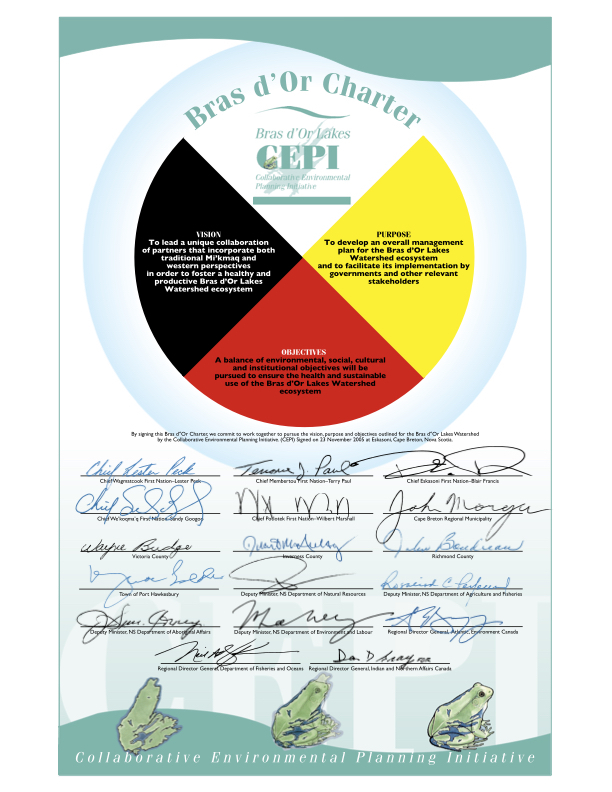 Created in 2005, this Charter represents a huge step towards a plan to guide the establishment of a unique and vital collaboration between all decision-making agencies in the watershed. 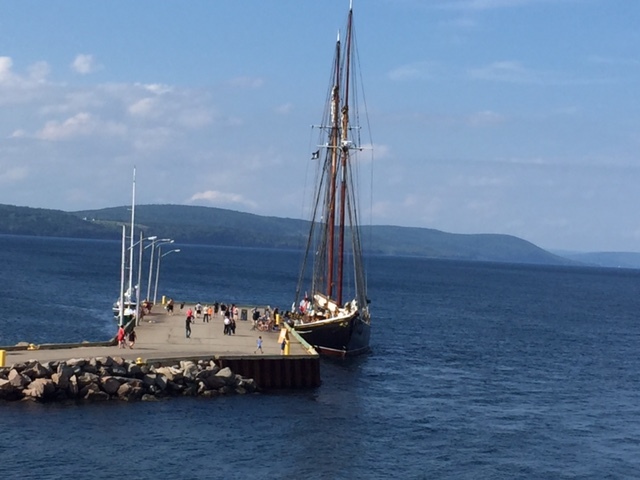 The Bras d’Or Lakes are very important for many people and cultures for a variety of reasons. The watershed provides the basis for supporting the economy through forests, minerals, and fish. It is a place for sport and recreation, a place where we can reconnect with nature and all its deeper meanings. The Bras d’Or is a provider of gifts important to individual diet and communal health. It is intimately intertwined with our unique and diverse cultures. 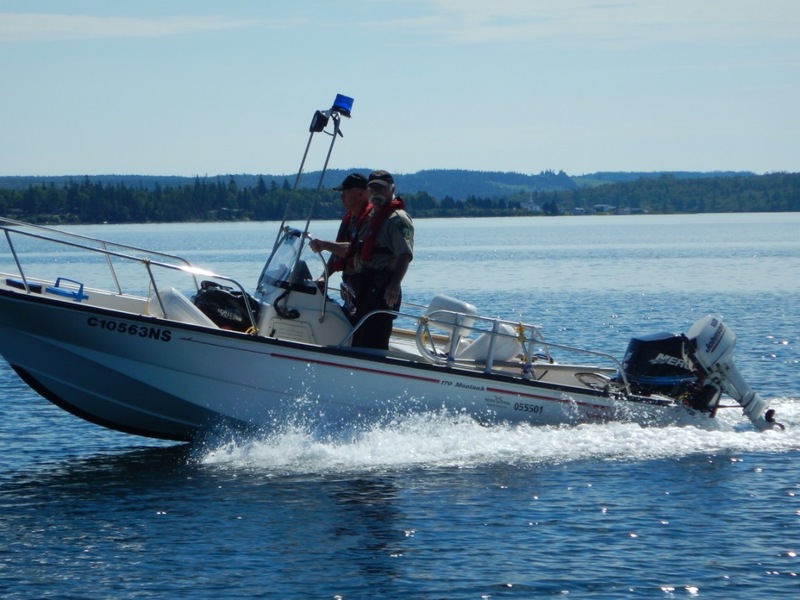 Our common concern for the Bras d’Or Lakes has brought our communities and leaders together in a collaborative effort to improve the quality of the ecosystem for the benefit of our communities and all species. 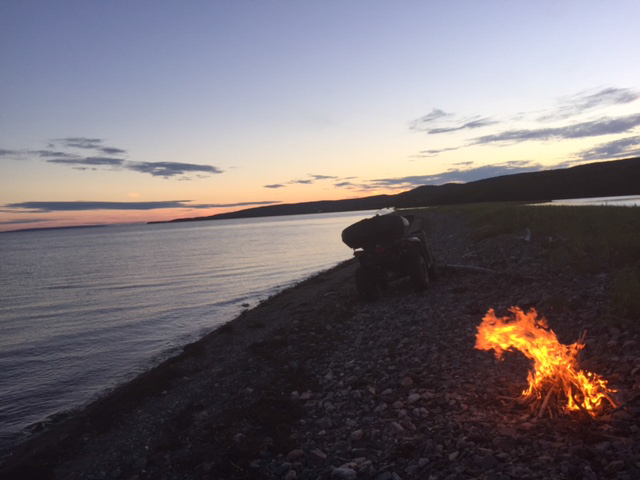 Visit our Library to view CEPI Reports, Publications & Videos all about the Bras d'Or Lakes.